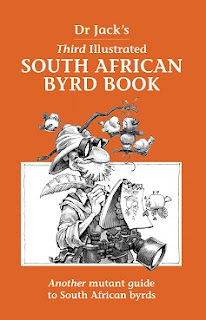 Dr Jack's Third Illustrated South African Byrd Book is a humorous book that follows the earlier successful publication of two similar books by Dr Jack. Picture driven, it features a collection of cartoons that lampoon birds on the basis of their common names. The author draws on some existing material, but also turns to the renaming of a number of southern African birds for fresh inspiration. The book is targeted at birders of all levels and at nature lovers in general. It’s the perfect stocking filler and very affordable, too. Dr Jack received his N.Dip for Graphic Design at the Pretoria Technikon and then worked as official artist for South Africa’s National Parks Board. During this time he produced the first Dr Jack’s Illustrated South African Byrd Book – a surprise success that reprinted twice and was followed a year later by Dr Jack's Illustrated Second South African Byrd Book. Dr Jack is now a freelance cartoonist, focusing mainly on the printed media, and has worked for top publications throughout the country. He is an active birder himself, based in the Mpumalanga Lowveld, and assists the Lowveld Birding Club with illustrations for their regular newsletters. 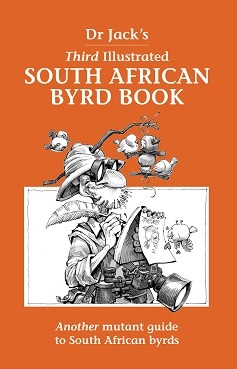 Dr Jack's Third Illustrated South African Byrd Book is published by Penguin Random House South Africa. ISBN: 978 1 7758 4528 7 | RRP: R120.